Keema was born and raised in New Jersey. Wife, mother of 3, United States Navy Veteran, and retired Intelligence Analyst. She’s been in the kitchen since before she could see the top of a counter. In 2013, her husband encouraged her to join one of the nation’s top culinary schools - L’Academie de Cuisine - where she graduated with Honors and was nicknamed the Queen of Soups. She honed her skills at Charleston, the BEST fine dining restaurant in Maryland. Working alongside her mentor - culinary great Chef Cindy Wolf. Since beginning her professional culinary journey, she has made the most of every moment. Chef Keema has been blessed to work with some of the industry’s finest chefs. To include Carla Hall, José Andrés, Tom Colicchio, Pati Jinich, and so many more. 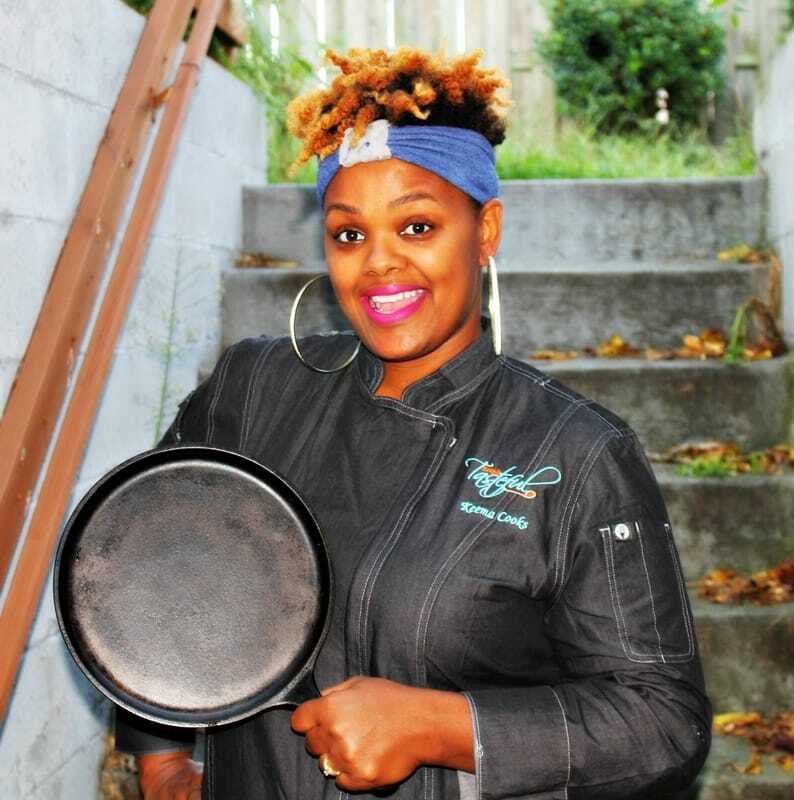 Most recently, she had the pleasure of cooking for Black Celebrity Giving, the LoveLife Foundation, and being a part of a culinary production team for the James Beard Awared nomitated show - Pati’s Mexican Table. Keep it Tasteful is her personal chef business where she can interact and serve more closely with people. Everything from meal planning, romantic dinners, cooking classes, and private events are serviced. Custom menus, the freshest seasonal ingredients, and attention to detail makes it so she is sure to hit on every taste bud and WOW you with flavor. From counterintelligence to counter intelligence, it’s evident that Chef Keema is here to serve with a purpose. “All is fair in love and food, and love for food.” Chef Keema.